Pablo Neruda Didn't Die Of Cancer, Experts Say. So What Killed The Poet? : The Two-Way Official documents say the Nobel laureate died of prostate cancer in 1973. But 16 forensics experts have unanimously concluded that isn't true, stoking suspicions again that he was actually poisoned. 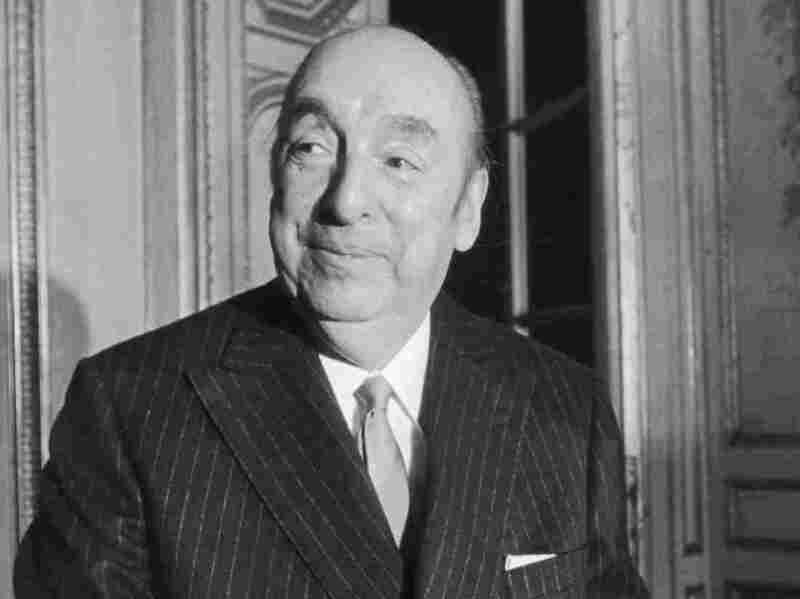 Chilean poet Pablo Neruda, seen in 1972 nearly one year before his death. "That cannot be correct," Niels Morling, Luna's colleague on the panel, told reporters. "There was no indication of cachexia. He was an obese man at the time of death. All other circumstances in his last phase of life pointed to some kind of infection." But that's about as far as they were willing to take their conclusion for now. "We still can't exclude nor affirm the natural or violent cause of Pablo Neruda's death," Luna added. 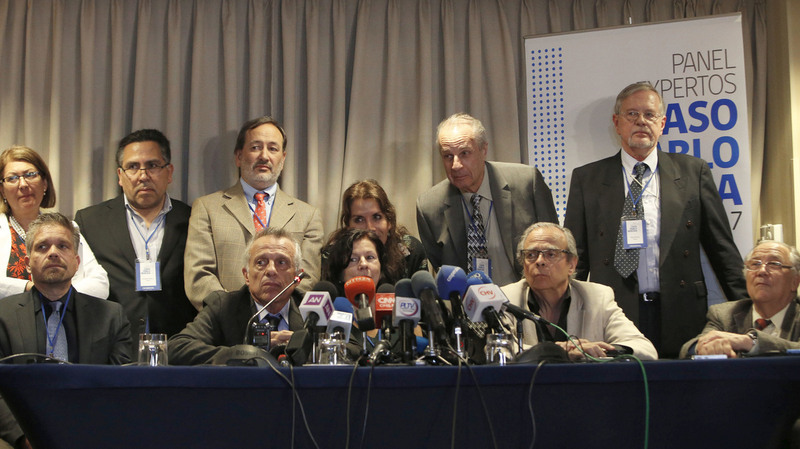 The panel of forensic experts, seen during a news conference Friday in Santiago. The group concluded that the poet and Nobel laureate did not die of cancer, despite what his death certificate says. It's that question that has driven a quest for answers about the Nobel laureate's death in recent years: Was Neruda a victim of cancer alone, or was he murdered in his hospital bed? Several of Neruda's confidantes — including his nephew Rodolfo Reyes and his personal assistant and driver, Manuel Araya — have attested to the latter, saying the poet was assassinated for his close connections to ousted Chilean President Salvador Allende. Not two weeks before Neruda's death, the leftist leader had died under similarly disputed circumstances during a military coup led by Gen. Augusto Pinochet. Pinochet went on to rule Chile as a dictator for 17 years; the official account of Neruda's death has lasted much longer. But in a 2011 interview with Proceso, Araya asserted that while Neruda did have prostate cancer, he was hardly dying of the disease. Rather, Araya said the poet had told him someone had injected him with a mystery substance as he slept in the clinic. "The only thing I want before I die is for the world to know the truth, that Pablo Neruda was murdered," Araya told the Mexican magazine. Partly on the basis of these suspicions, Judge Mario Carroza ordered Neruda's remains exhumed in 2013 and samples sent to forensic experts abroad. The Chilean government went still further in 2015, acknowledging that it was "highly likely" a third party had a hand in Neruda's death. In the meantime, the scientists kept working — and it is this group that rendered its conclusion Friday, pointing toward a possible clue to figuring out what killed Neruda, if not cancer: potentially deadly bacteria discovered in the poet's remains. "We can't confirm how the bacteria got there," researcher Debi Poinar said, according to The New York Times. "We have to be very careful because there are a lot of bacteria that have their origin in the soil and some of those bacteria are the most pathogenic. We have some indications that it's an old bacteria, not a modern or laboratory contaminant." The scientists plan to analyze the bacteria further, with results expected within a year.